Exquisite and uniquely designed jewellery pieces are a sight to behold, making every woman or man the envy of the room. 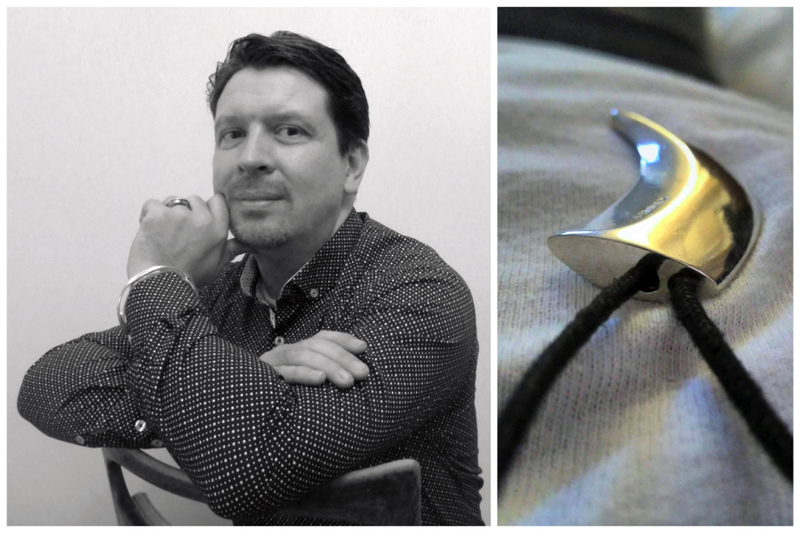 Not surprisingly, John Robertson, designer and craftsman behind the luxurious creations of VerticesEdge Luxury Jewellery is making headlines in the industry for his clever use of 3D printing to bring new concepts to life. 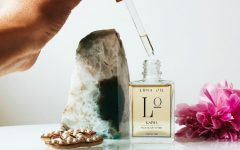 Pioneering this methodology in 2002, John created one of the first rapid prototyping departments in the jewellery industry whilst working with one of the largest platinum jewellery companies in Europe. Setting the standards for modern classic designs, John’s creations are revolutionising the world of fine jewellery, making it possible to create even more complex and daring designs with ease, and clean flowing lines for symmetrically, to create pure forms that go beyond jewellery. They are, quite simply, wearable works of art. All pieces are created in their Covent Garden workshop. 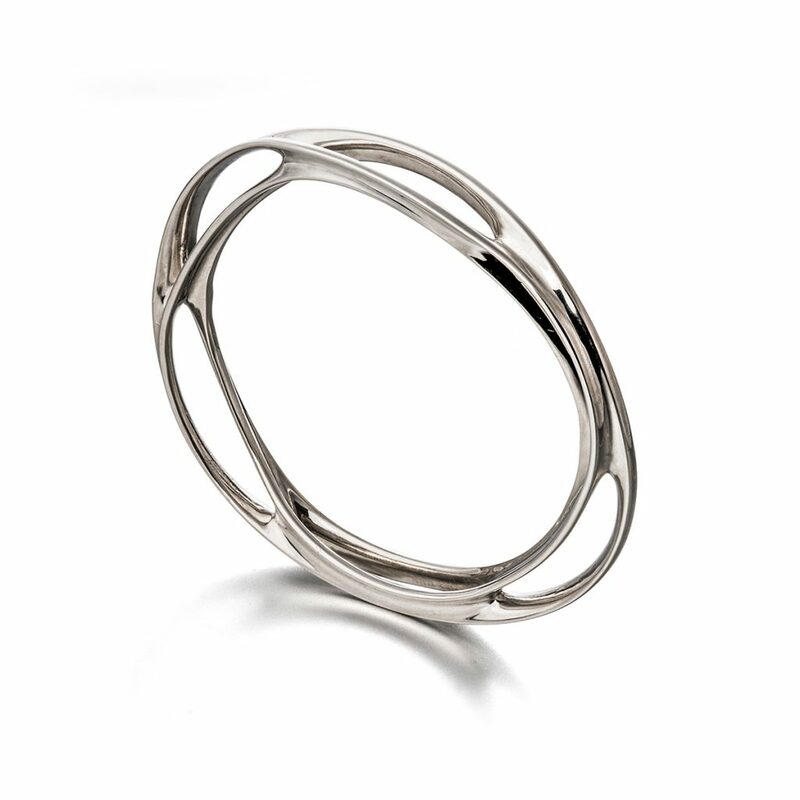 Among these spectacular designs, the Curvaceous Twist n Flow Oval Bracelet in silver features a free form that flows yet embodies lasting strength. Stunningly modern, it’s ideal for any upscale event from semi-formal to the most formal of occasions. Inspired by a Berkeley algorithm, this piece dares to challenge lines, bending the rules in the most beautiful of ways. It will add extra panache to your formal wear, making you the envy of all guests at any special event. Want to add more shine? 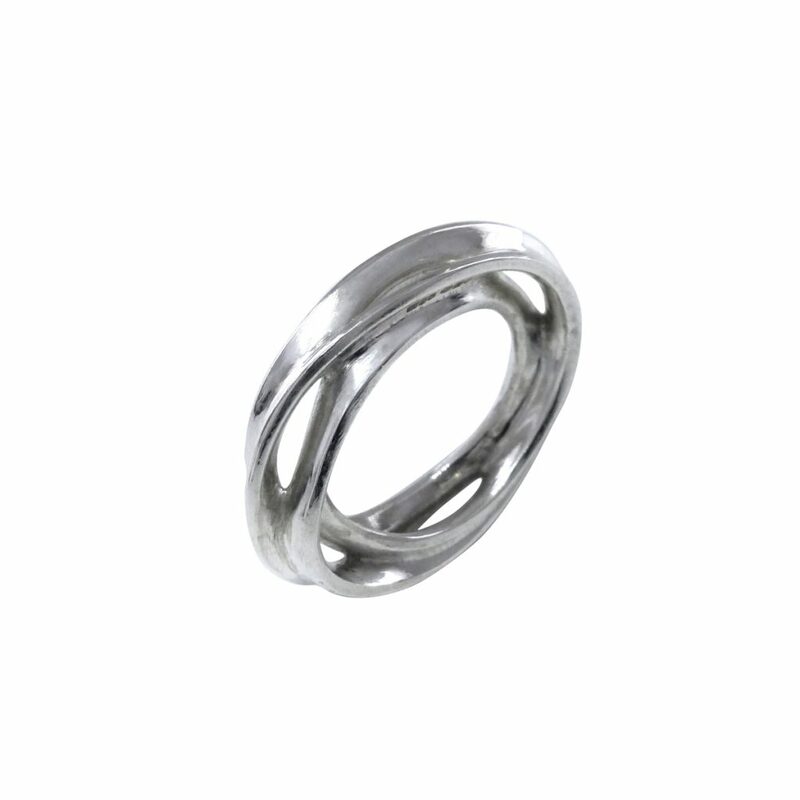 Then adorn one of your fingers with the Passion Silver ring, fashioned in white sterling silver with a triple wave-like twist. It’s a stunning accompaniment to the Twist n Flow Oval Bracelet, completing the contemporary accessorisation of your ensemble. Tailor-made pieces are also available in silver, gold, or white gold in the size that is just right for you by contacting VerticesEdge directly. Or perhaps you wear your heart on your sleeve. 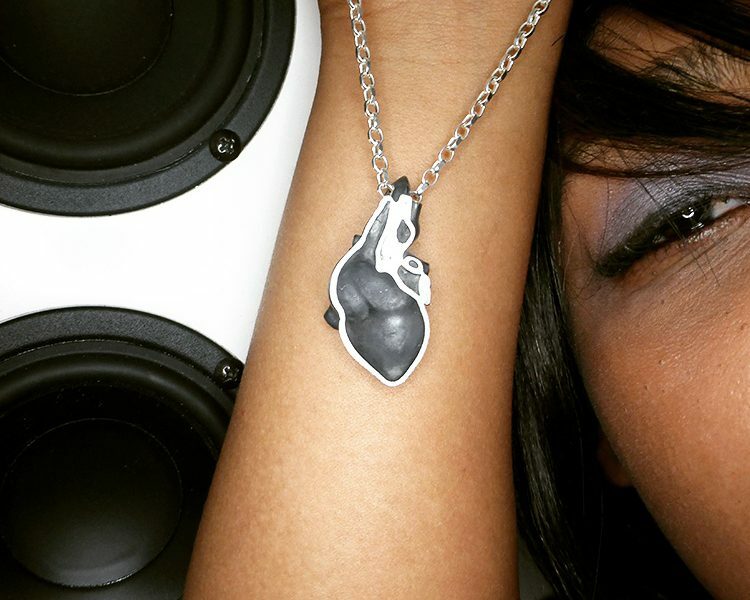 For you, this Silver Heart Pendant can let you wear it on your chest. It’s two halves of a whole, reversible with a feminine side and a masculine side, a true metaphor of love and life intertwined. This gorgeous creation of a miniature replica of a medical heart model is complex, unique and original, it is the epitome of deep love and the bloodline of compassion. 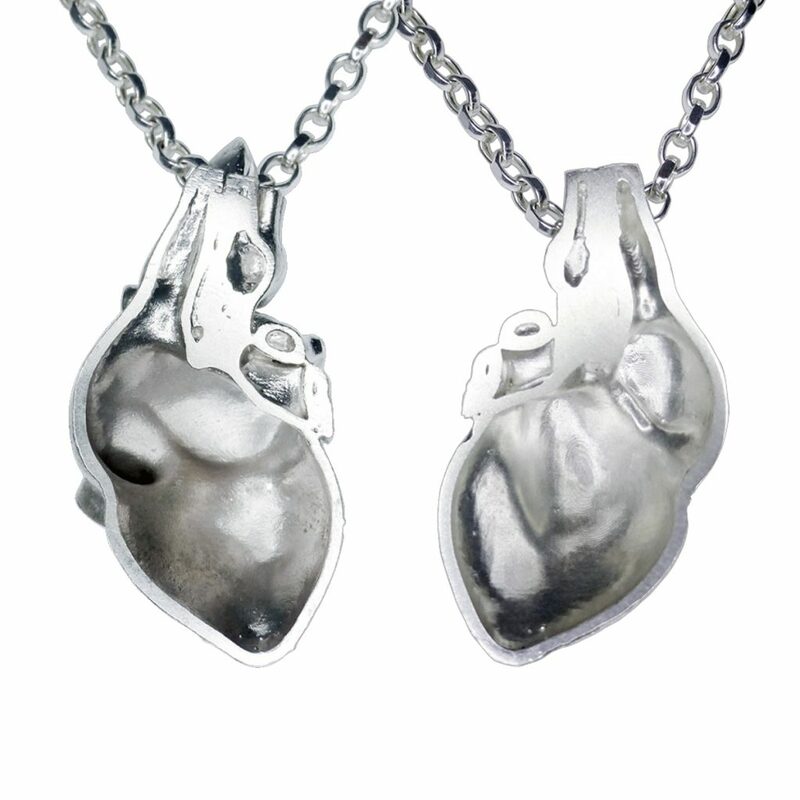 A true unisex piece, the intricate Silver Heart Pendant is both strong and beautiful meaning it can be worn by anyone. 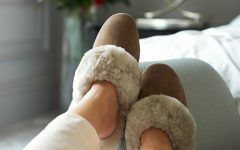 VerticesEdge are also very happy to create bespoke pieces, focusing on quality luxury jewellery creations while upholding an unparalleled customer service experience. For a limited time only, Avenue15 Readers can enjoy an exclusive 10% OFF the Curvaceous Twist n Flow Bracelets at VerticesEdge using offer code ‘av15’ (valid until 8th Oct 2017).